Even in today’s economic environment, there are still orders coming from palaces, presidential offices, parliament houses and places of worship around the world to make very large Persian rugs in Iran. Just recently, there was an order from the main Abu Dhabi mosque in United Arab Emirate (UAE). 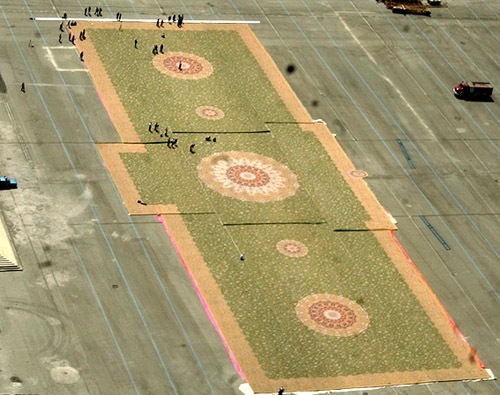 This rug is measured 133 x 41 meters ( 5,453 square meters or 60,468 square feet) larger than a football pitch and it was made on nine different looms in nine-piece sections and joined together after delivery. 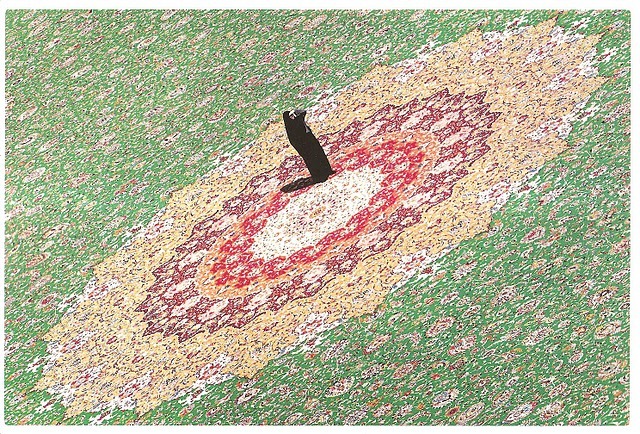 There are over a thousand stylised flowers woven in the field of this Persian rug with many other motifs surrounding them in 25 different colours as can be seen in the picture. The motifs in this Persian rug are designed to reflect the sculptured work in the ceiling of the mosque, giving it a colourful reflection of life under the prayer's feet.Four shades of green, five blues, four reds, six shades of cream and six other colours are combined to create this beautiful and vibrant enormous Persian rug masterpiece. The design of the rug took over six months to research in order to make sure that the colours are in harmony with its surrounding whilst keeping with the traditional Persian rug design. This carpet was woven in nine different workshops using ten master weavers in each workshop in the city of Neishabour in the province of Khorasan (north east of Iran). 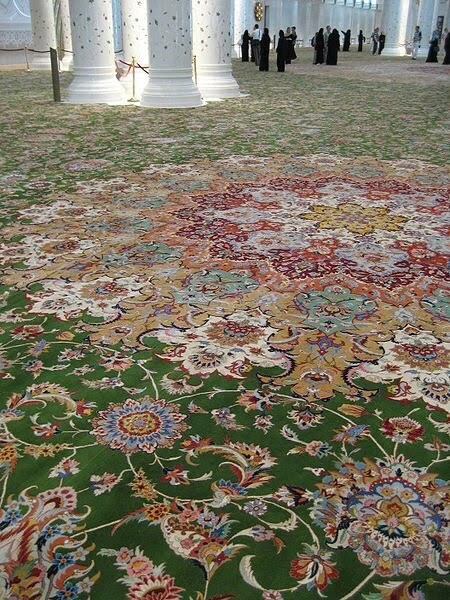 As with most Persian rugs, the pile is 100% wool woven on cotton warp and weft. The wool was of the finest quality and sourced from province of Kerman and New Zealand. There is no accurate information about how long it took to produce this rug. However we can estimate that at a rate of three hundred square meters per year per section using over one hundred weavers, it would take two years using about one thousand weavers to weave this rug.